Seven years after the launch of Envy, Gucci introduces Envy Me. This is a fra..
Gucci By Gucci Shower Gel is characterized as a modern woody fragrance includes notes of bergamot..
Set contains: Gucci Guilty Black Pour Femme EDT Eau De Toilette for Women 75ml + Gucci Guilty Bla..
Set contains: Gucci Made to Measure EDT Eau De Toilette for Men 50ml + Gucci Made to Measure Afte..
Set contains: Gucci Premiere Gucci EDP Eau De Parfum for Women 50ml + Gucci Premiere Gucci Body L..
Set contains: Gucci Guilty Black Pour Homme EDT Eau De Toilette for Men 90ml + Gucci Guilty Black..
Set Contains: Gucci Guilty Pour Homme Gucci EDT Eau De Toilette for Men 90ml + Gucci Guilty..
Set contains: Gucci Guilty EDT Eau De Toilette for Women 50ml + Gucci Guilty Body Lotion 100m.. The composition is oriental-spicy, "tailor-made" like an expensive suit. 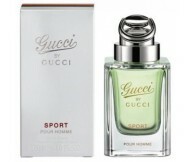 Its initial notes are in..
Gucci Guilty Pour Homme by Gucci is carefully designed for men who know w..
Set contains: Gucci Guilty EDT Eau De Toilette for Women 30ml + Gucci Guilty Body Lotion 50ml ..
Set Contains: Gucci Guilty Pour Homme Gucci EDT Eau De Toilette for Men 50ml + Gucci Guilty..
Set Contains: Gucci by Gucci Sport EDT Eau De Toilette for Men 50ml + Gucci by Gucci Sport After ..
Set Contains: Gucci Flora by Gucci EDT Eau De Toilette for Women 50ml + Gucci Flora by Gucci Body..
Set contains: Gucci Guilty EDT Eau De Toilette for Women 75ml + Gucci Guilty Body Lotion 50ml + G..
Perfume Flora by Gucci opens the door to new creations by the house of Gucci,..
Gucci by Gucci Sport fragrance for men. 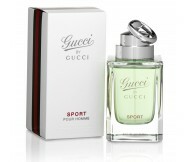 Top notes encompass luminous g..
Gucci by Gucci Sport fragrance for men. 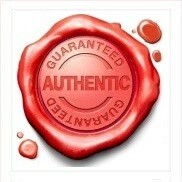 Top notes encompass luminous grapefruit, cypr.. 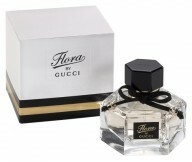 Designer Gucci has 45 perfumes in our fragrance base. The earliest edition was created in 1974 and the newest is from 2014. 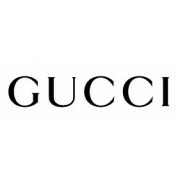 Gucci fragrances were made in collaboration with perfumers Michel Almairac, Maurice Roucel, Karine Dubreuil, Firmenich, Dominique Ropion, Ilias Ermenidis, Givaudan, Daniela (Roche) Andrier, Antoine Maisondieu, Guy Robert and Lorenzo Villoresi.